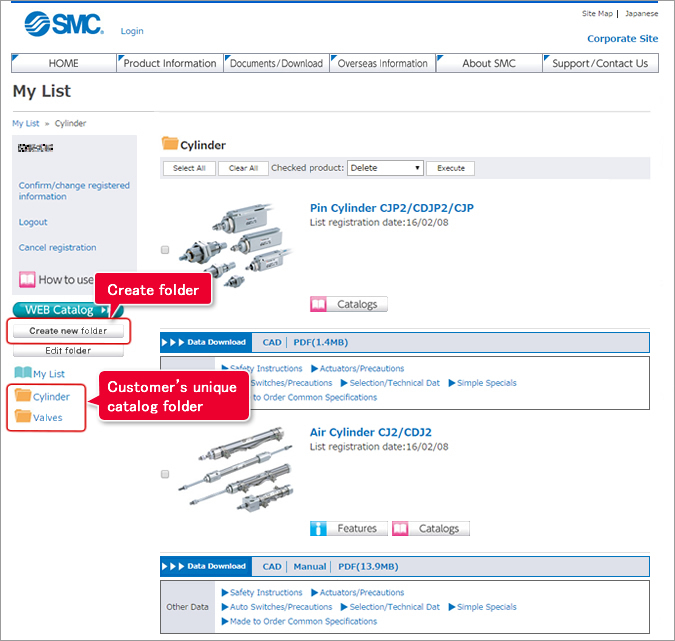 Customers can create their own unique catalog folder by registering the product catalogs frequently used. Click here for User Registration. 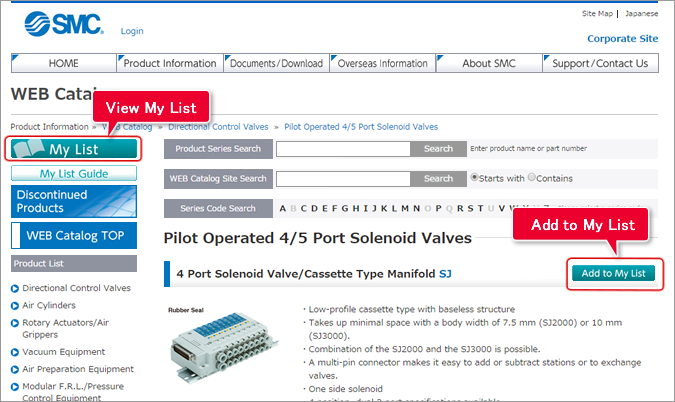 When "Add to My List" of each product is clicked, the catalog will be registered in My List. To confirm the customer's My List, click "Open My List" on the upper left of the screen. The products registered in My List can be managed in the customer's unique catalog folder.